Apple Music is launching the new year by making one of its earliest relationships more official. 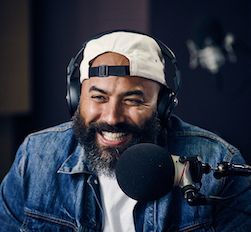 Ebro Darden is now the service’s global editorial head of hip-hop and R&B. In this capacity, he will lead the team developing editorial strategies for artists, albums, and song releases in those genres. Darden is a radio host with a weekday morning show on New York’s Hot 97 station, and he’s been a host on Apple Music’s Beats 1 station since the streaming service’s debut. He will continue hosting both shows in addition to his new responsibilities at Apple. “First things first is making sure that we’re firing on all cylinders in the best way possible, helping consumers find the music that they love and also helping artists connect with consumers in a real way,” Darden said of his new post. “Once I learn about what’s needed to achieve that, it will be about looking ahead and figuring out ways to serve the communities where hip-hop and R&B music is made.” He added that he’ll be taking an international approach to hip-hop, highlighting talent in markets from Africa to the UK. Carl Chery was Apple Music’s previous head of artist curation for hip-hop and R&B. He left the company for a role at Spotify in April 2018. Quick Hits: Questions about NPR’s RAD. Apple Music year-in-review app.